Go on a nature hunt to collect suitable branches or buy a small bare branch tree. If you have collected branches paint them white or keep it simple with a natural look. Arrange branches in a pretty vase, then add sand and pebbles to keep the branches secure. 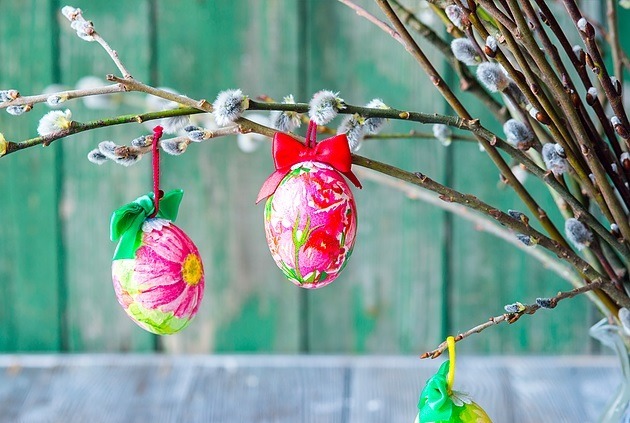 Enjoy decorating your tree with Easter eggs, chicks and bunnies. Place your tree on a table and complete your display with arrangements of spring bulbs, narcissi and some chocolate eggs to finish.